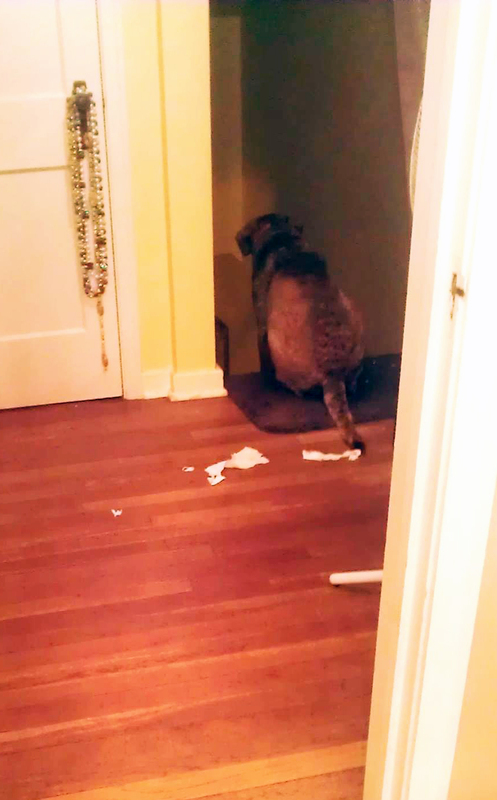 Radar approaching the furniture ring. My yard is a fenced city lot. I have a sidewalk that runs the length of the yard on the one side so that provides a warning boundary on one side. My yard has a definite downward slope on the other side so that serves as Radar’s boundary warning on that side. The two short sides of the yard have flower beds with a stone border. These are a bit of an abrupt boundary warning but Radar prances and his toes hit the stones to indicate the boundary. 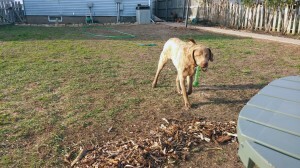 Obstacles within the yard have been more of a challenge. 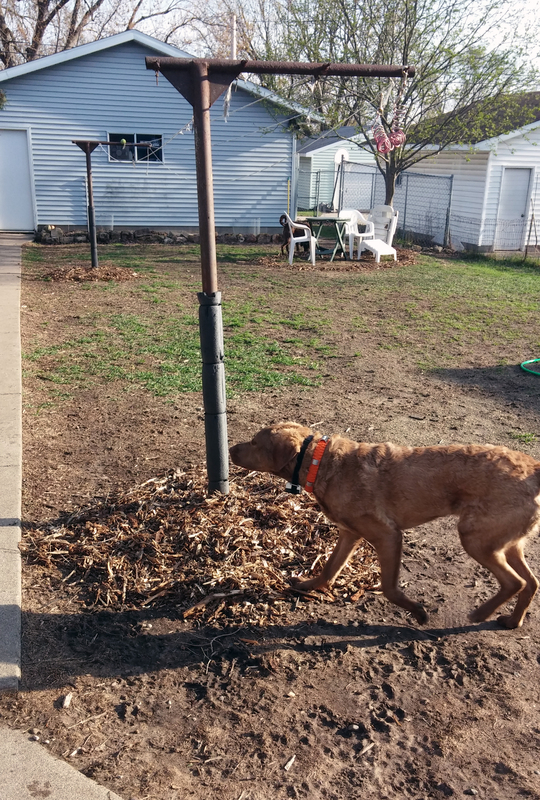 My yard is pretty open except for 4 obstacles: a tree, two clothesline posts, some lawn furniture and the kennel fence and gate. 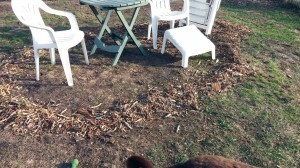 I discovered that the city I live in provides free wood chips. These are not the high quality wood chips like you buy, they are chipped from the branches discarded at the city’s yard waste sight. 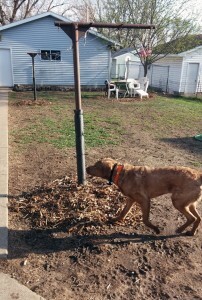 I used the wood chips to mark the tree, both of the clothesline posts and both sides of the kennel fence leading Radar to the gate opening. 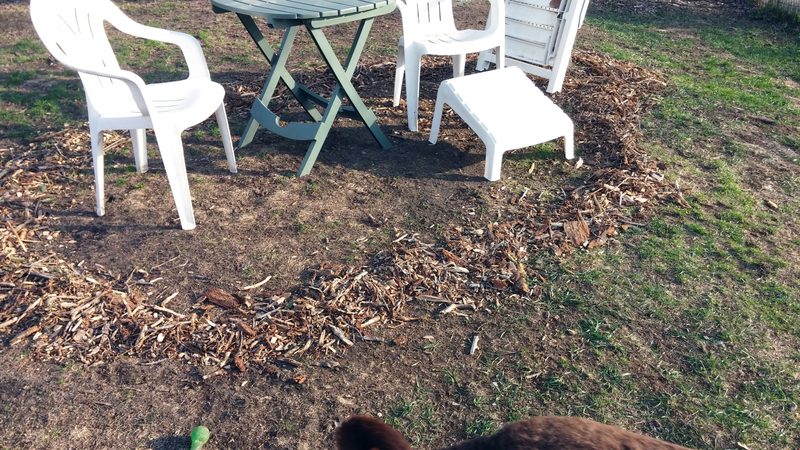 I also used the wood chips to form a circle around my lawn furniture since I do not have a patio and the furniture just sits on the grass/dirt. This worked great until it snowed! 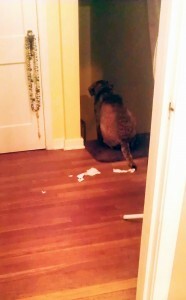 All of the sudden Radar was running into the obstacles and boundaries because the sidewalk disappeared until I shoveled. The downward slope became less obvious and the stones disappeared. Not to mention the wood chips marking the obstacles were no longer “visible” to Radar. I noticed Radar was using the snow bank of shoveled snow from the sidewalk as an indicator so I decided to “snow bank” my yard. I shoveled a path about 2′ from the fence and piled the snow into a bank. 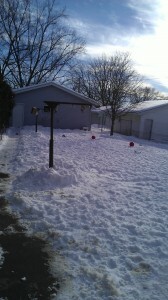 I then created snow bank circles around the tree and clothesline posts. The snow banking worked like a charm and if I had wanted to ice skate, I could have flooded the yard and had a great ice rink! 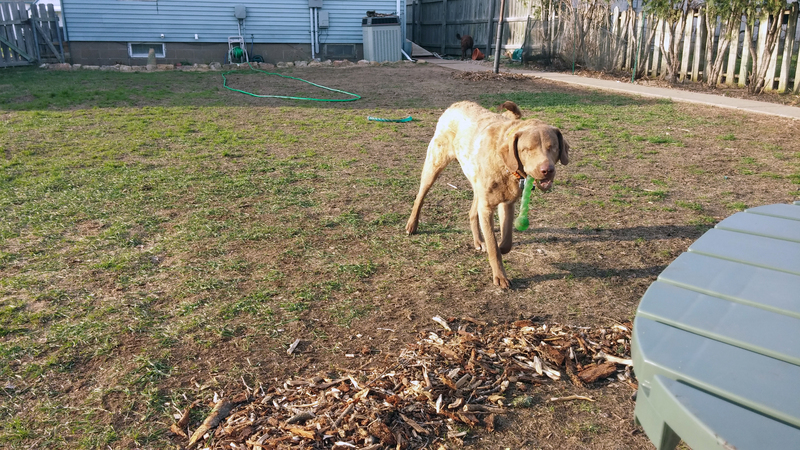 Eventually Radar may no longer need the “blindscaping” but as a youngster with lots of energy and play, he needs reminders of where the dangers are and these are pretty cheap methods to provide him with some security and reinforcement of his mind map.